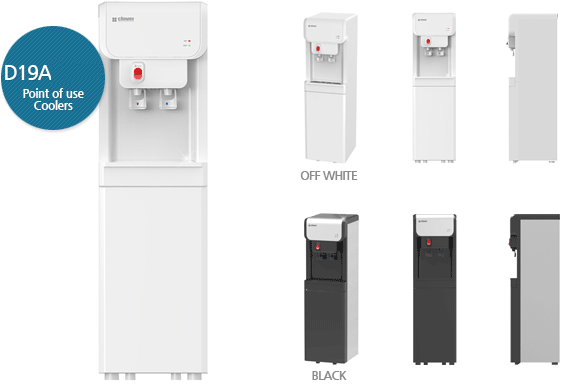 A Hot and Cold Table top water dispenser that is best suited for offices, home kitchen and pantry areas. 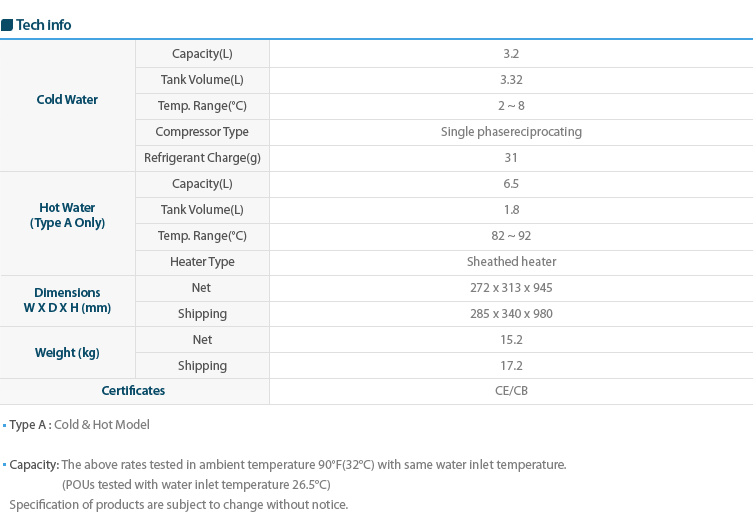 HOT WATER THERMOSTAT – Water temperature is controlled to nearly 85°C by automatic thermostat. ON/OFF switch is easily accessible in the control box at the side of cabinet. ELECTRICAL - 220V ~ 240V(±10%) 50Hz provided with power cord and plug. 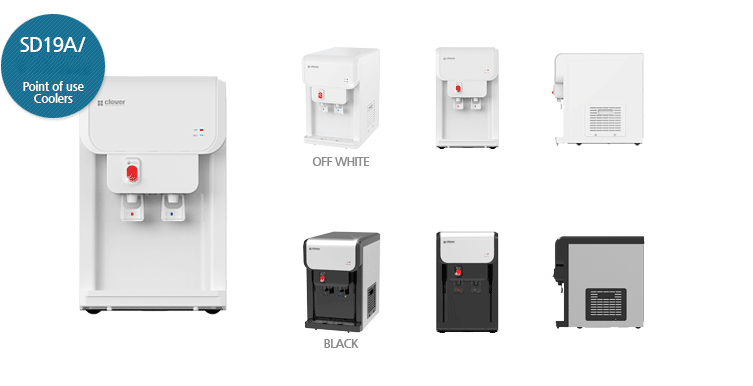 CABINET – High glossy cabinet (Front and top: ABS plastics, Side: High polymer polyester coated steel panel). 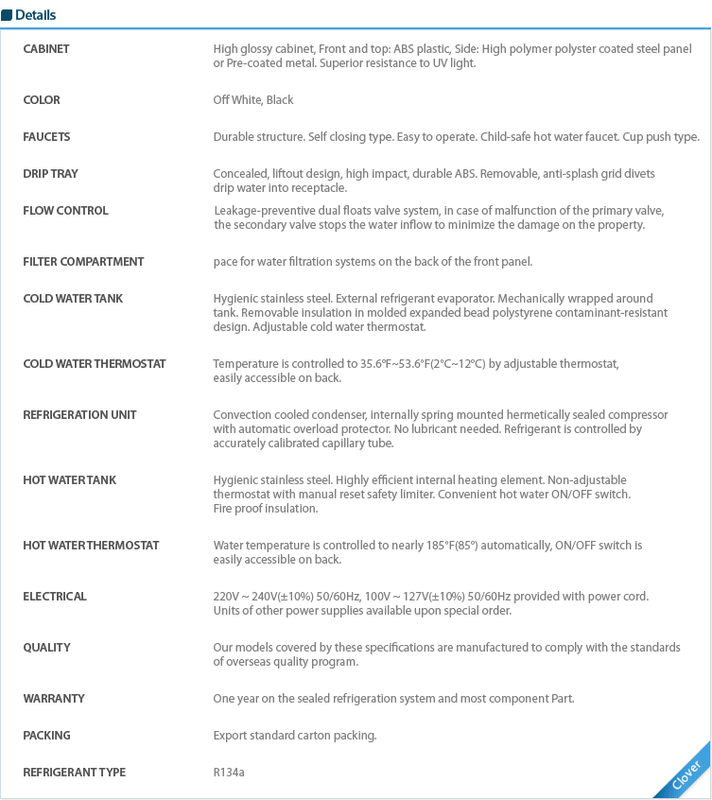 Superior resistance to UV light COLD WATER THERMOSTAT – Temperature is controlled to 7°C~12°C by adjustable thermostat, easily accessible at the side of cabinet HOT WATER THERMOSTAT – Water temperature is controlled to nearly 85°C by automatic thermostat. ON/OFF switch is easily accessible in the control box at the side of cabinet. 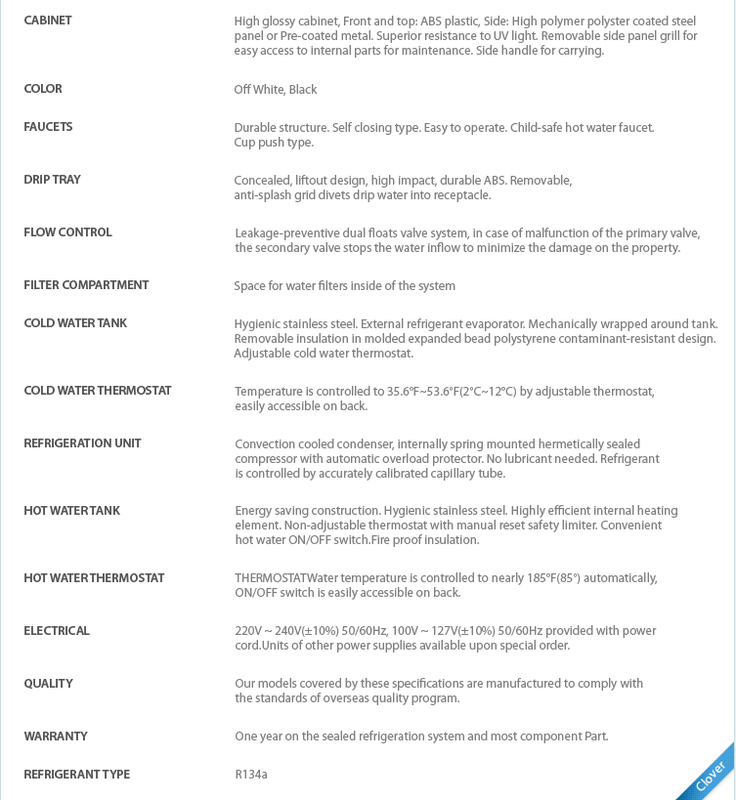 REFRIGERATION UNIT – Convection cooled condenser, internally spring mounted hermetically sealed compressor with automatic overload protector. No lubricant needed. 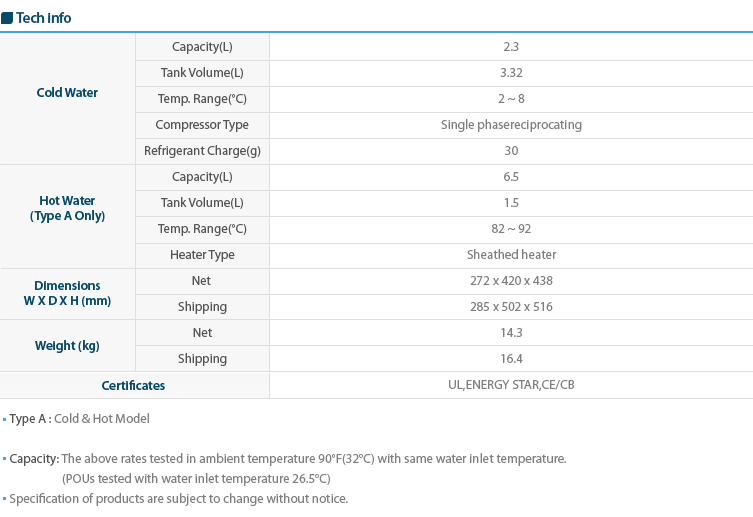 Refrigerant is controlled by accurately calibrated capillary tube. Quiet operation by the optimum design. Highly efficient cooling function REFRIGERANT TYPE - R134a ELECTRICAL - 220V ~ 240V(±10%) 50Hz provided with power cord and plug.